This Christmas printable makes a great backdrop for a nativity or just an easy Christmas decoration to frame and hang on your wall. 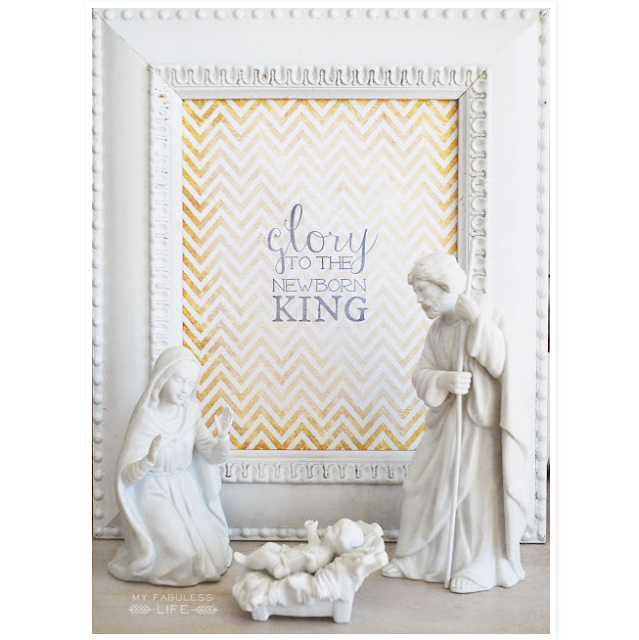 Either way, you will want to download the Glory to the Newborn King Christmas printable over at My Fabulous Life. Thanks so much! I'm so flattered!